Moving your line of credit from a variable rate to a fixed rate can save you money. A home equity line of credit gives you access to the equity in your home for immediate use in making improvements to the property or covering another large expense. Home equity lines of credit usually come with a variable rate that's tied to the current market interest rate, which means your payments will fluctuate with the market. If you decide you want to make payments more predictable and stable over time, you can switch to a fixed rate. Review the paperwork for your home equity line of credit and see if it includes an option for fixed payments. This option is sometimes included in the line of credit when it is first written. If it is, you simply need to contact your loan provider and tell a representative that you want to convert it to a fixed payment schedule. You can expect to pay a higher interest rate than the variable interest rate you were offered at the beginning of the line of credit. Converting to a fixed-rate loan is simple for loans with that option. In most cases, you can call your lender and have new paperwork drawn up immediately. Once you sign the new, fixed-rate forms, your loan will be a fixed-rate loan and the paperwork will tell you the new interest rate and payment amount, as well as the due date for the next payment. Request a new loan that has a fixed rate instead of a variable rate, if your current home equity line of credit does not include a fixed-rate option. 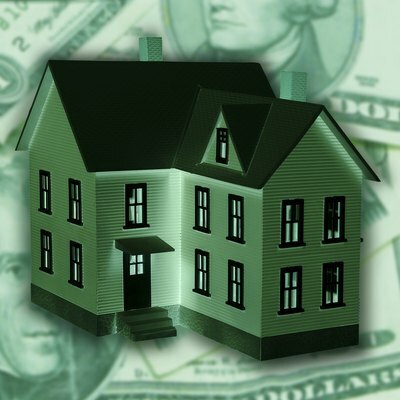 Not all lenders offer a fixed-rate home equity line of credit, however. For those that do, you will have to reapply for a home equity line of credit with a fixed rate. If you stay with the same lender, it might waive some of the application fees. Obtain loan quotes from several other lenders. Competitive rates are available for qualified borrowers, so you are not restricted to your current lender. Although you can stay with your current lender, you may be able to get better rates or reduced fees with someone else. Or you can hire a mortgage broker to find these quotes for you, saving you time. Each lender should be able to provide you with a good faith estimate for a new loan that includes the rate, the term length of the loan and any fees that you would need to pay. Select the best home equity line of credit for you. 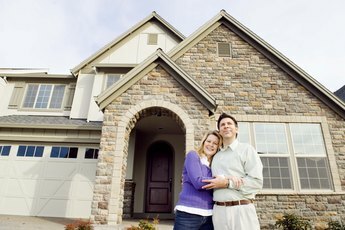 If you've paid off part of your original loan and continued to build equity in your home, it will be easier for you to qualify, because you will have a greater loan to value ratio -- the percentage of the amount you owe on the home (the mortgage plus the line of credit) divided by the current value of the home. Fill out the application and submit all required documentation, such as proof of income; current debts, which the lender will use to calculate the current debt-to-income ratio; and the current value of your home, which the lender will use to calculate the prospective loan-to-value ratio. Applying for a fixed-rate home equity line of credit means your interest rate will likely jump -- possibly by several percentage points -- but in exchange, you're getting steady, consistent payments. 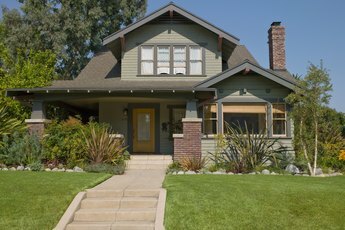 Submit to a home appraisal. Some lenders will handle the appraisal process for you, but many require you to arrange for the appraisal yourself. This is necessary to get an accurate current value of your home. Sign the loan documents when they are prepared. Read through the entire package of documents carefully and make sure you completely understand them. Begin making your payments as required. 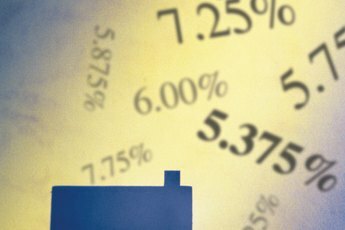 It is faster to acquire a fixed rate line of credit through your current home equity line of credit provider, but your current lender might not have the most competitive rate. You will have to decide if you want to forgo comparison shopping for the sake of convenience. Can You Refinance a Home With a Different Bank Than the One the Mortgage Is Through? Can a Single Person Apply for a FHA Home Loan?